Henry van der Vijver and his team of highly skilled artisans are one of the countries best and most sought after specialist finishers. Henry established HVArt in 1988 and the core of the team have been together for well over a decade. With all this experience under their belts the team boasts a wide range of skills and experience. 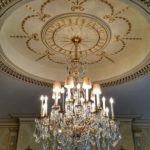 Their skills encompass traditional gilding and marbling to polished plaster, trompe l’oeil, and more. The team at HVArt has completed many prestigious projects over the years. Because of their professional skills, attitude and commitment to their projects their skills have seen them hired for jobs worldwide. They have completed commissions from as nearby as Jersey and Ireland, to as far away as Saudi Arabia and China and to plenty of other places in between! 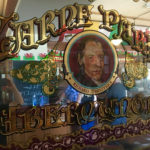 Traditional signwriting is a subject close to our hearts. 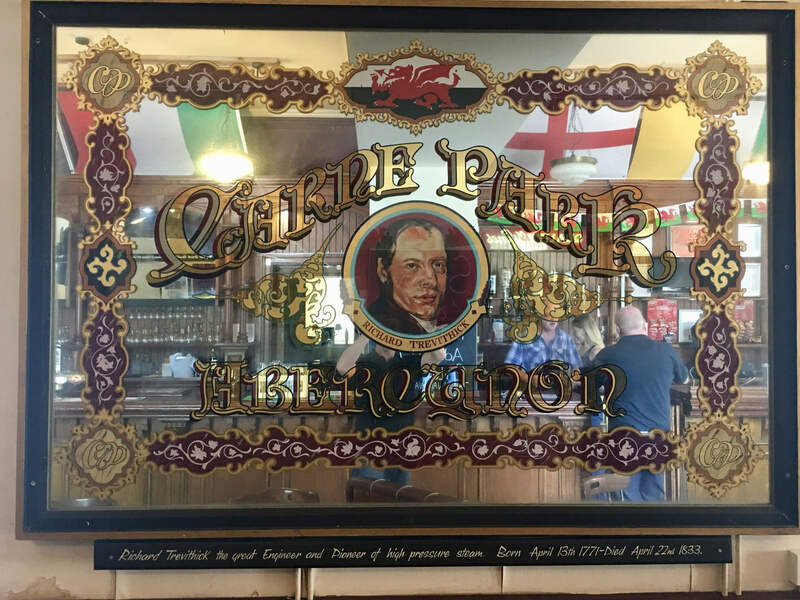 Once almost supplanted by vinyl and printed adverts it is seeing a comeback as people are coming around to the bespoke elegance of a uniquely painted sign. 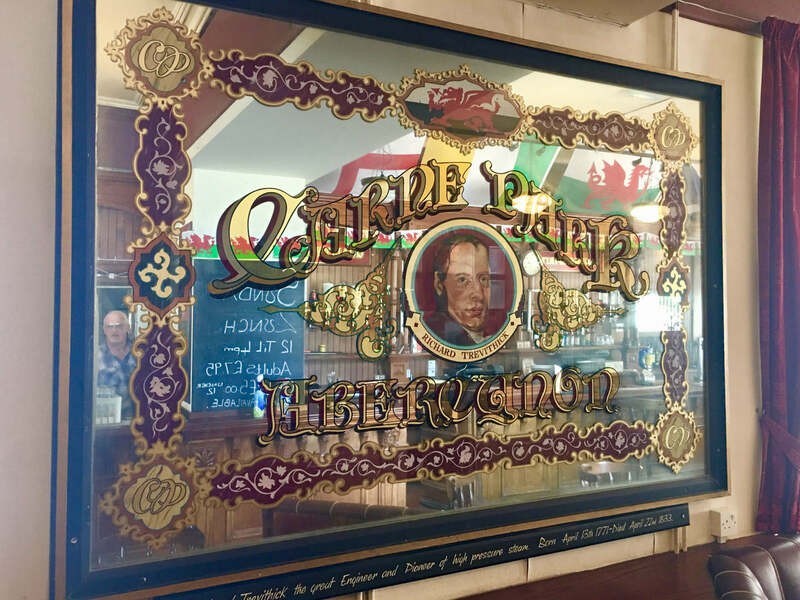 Malcolm Murphy is a traditional signwriter and commercial artist with many years of experience and awards under his belt. 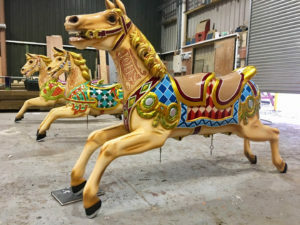 Projects have taken him all over the country and his work has graced traditional fairground rides, the attractions at theme parks, wall displays and a range of cars and other vehicles. 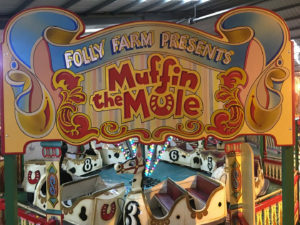 Below you can see some of his examples of work done on fairground attractions and signs. These projects have been completed using traditional materials including enamel paints, flat oil-based paints, aluminium leaf and gold leaf! 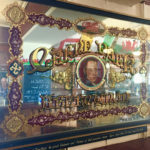 Like all master signwriters Malcolm is also an experienced gilder. 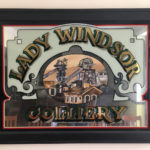 The images below are combinations of the signwriter and gilders craft, incorporating both techniques and materials to create unique pieces to serve as eye-catching advertisements. 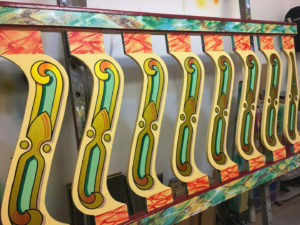 The pieces below all use genuine gold leaf and 1-Shot Signwriting Enamels. 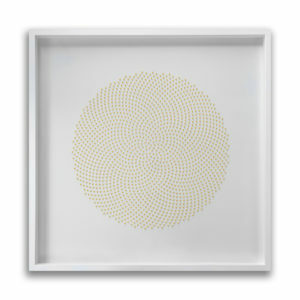 Currently showing in Gallery Thirty Three in Wanaka is Kate Alterio’s latest collection – Walk Between Worlds. 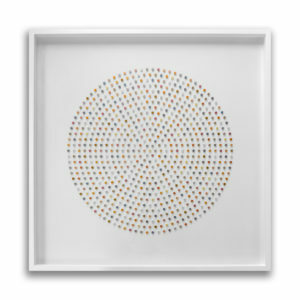 This collection consists of 10 pieces, each one brought to life through countless hours of work – including hand-painting and gilding. 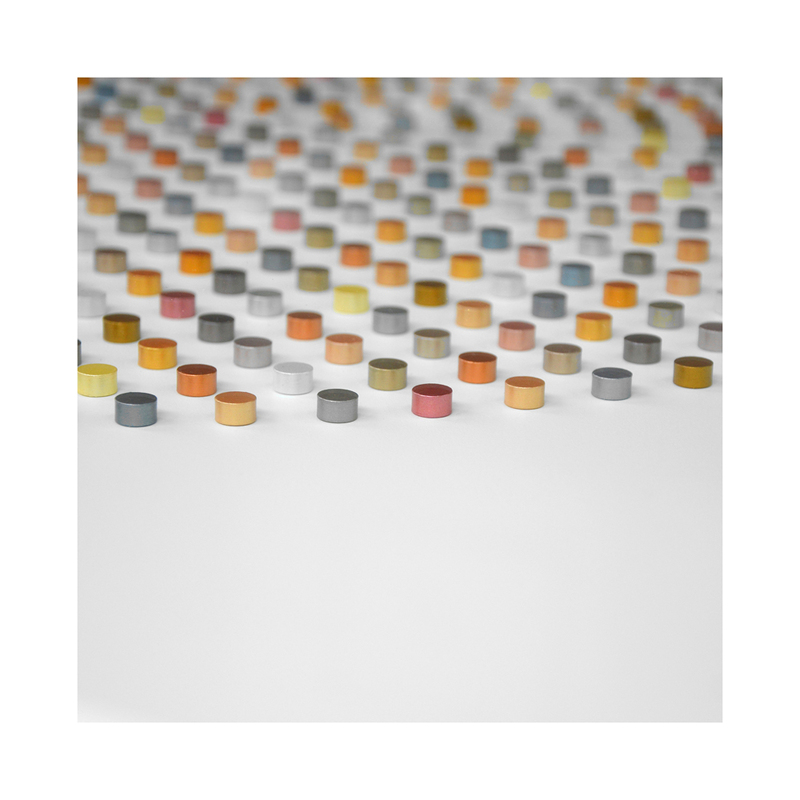 ‘Beneath It All We Are Dancing’ contains over 721 individual elements, each of which were painted with 7 coats and ‘Hum’ contains 721 individual elements, all of which were gold-leafed by hand. 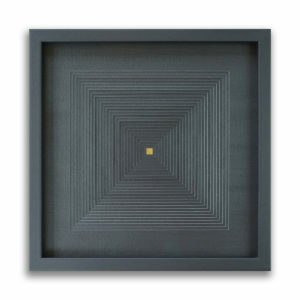 The meticulous process of creating these pieces of the greater whole is described as being an ‘…opportunity for meditative practice, calling for presence, focus, care and patience.’. The process and attention to detail of this process is imbued into works, giving them a life and energy that is more than the sum of their parts. 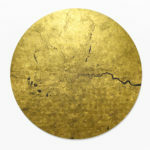 Inspired by ‘mappa mundi’, the circular ‘charts of the world’ created by medieval scholars, these modern maps render urban centres of the world in vivid, intricate golden detail. 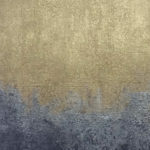 The homes, offices, parks and other spaces people occupy are created in our pure 24ct gold leaf. 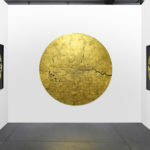 There’s no categorization, no separation between rich or poor, residential or industrial – instead every space is rendered to an egalitarian ideal with the gold representing the inherent nobility and sacredness of Man. Traceries of negative space spider-web their way across the golden disk, these lines of black or white define the roadways, pathways and rivers that shoot through our cities like veins. Viewed from above, without benefit of labels or colour these charts almost seem like abstract fractal or geometric patterns, at least until your eye comes across a familiar landmark and it all comes into focus. 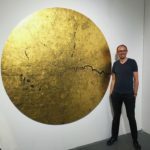 Ewan David Eason is the artist behind Mappa Mundi, the idea that would eventually become culminating from both mappa mundi and the poverty maps of Charles Booth along with his own artistic interest in exploring the concept of contrasts. 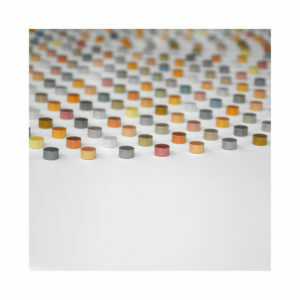 Ewan’s work has been well received and has been exhibited in shows and galleries worldwide. Customer Experiences – Francesca & Her Son’s Wedding Cake! 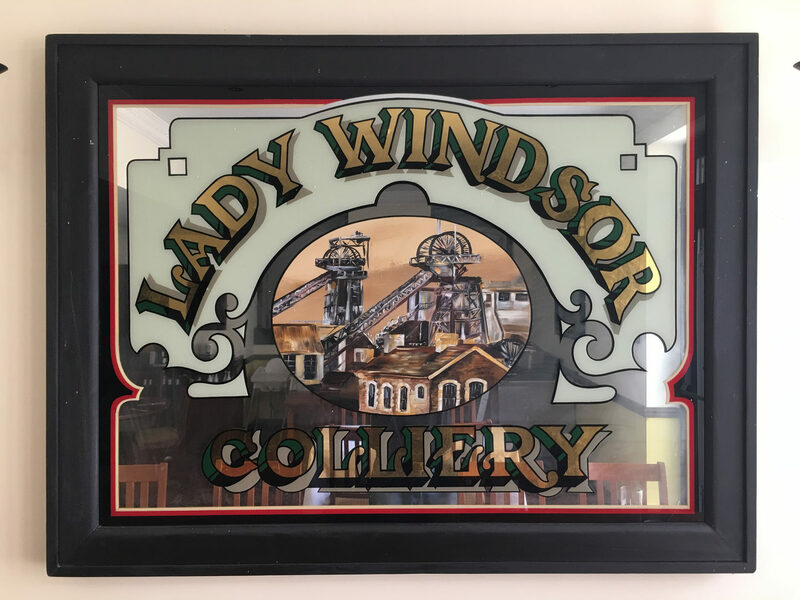 Here at Gold Leaf Supplies we have the pleasure of dealing with many customers each and every day, trying to guide them and and advise them through the project they’re are looking to undertake. We’re always especially pleased when a customer takes the time to get back to us afterwards and tell us how it went. This is one such story, written by a customer about her experience in making a wedding cake for her son’s wedding. 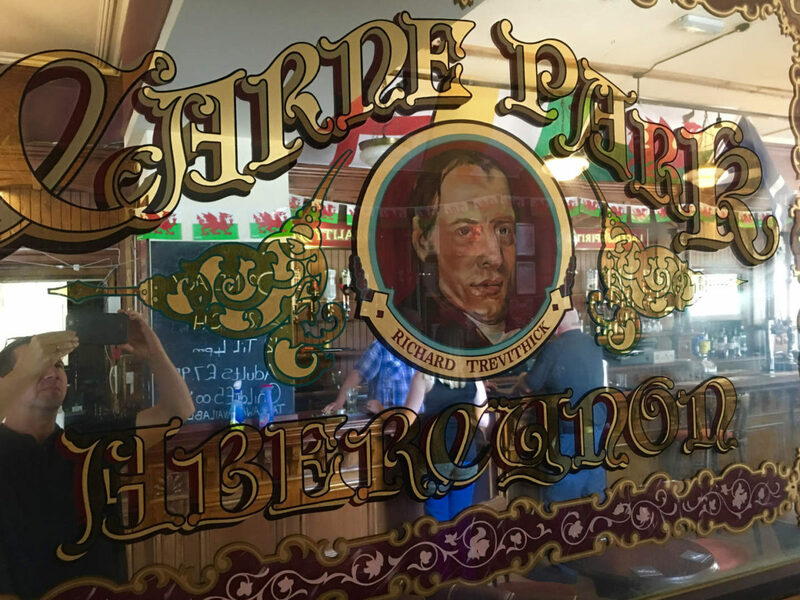 “This project felt like one of the most important things I have ever undertaken. I was really privileged when my son and future daughter in law asked if I would make their wedding cake. I had 18 months to plan and create the cake which I wanted to be really special for them. I created a special recipe for the fruit cake by listening carefully to what everyone liked and combining the list of ingredients. Luckily the recipe held together and produced a taste everyone was pleased with. No doubt it will become one of those secret family recipes! The next stage was to design the four-tier cake. I had in mind to make by hand all the decorations on the cake, apart from a Swarovski crystal butterfly topper. The roses were made out of sugar-paste and in order to get a natural movement in the flowers, each petal was wired separately. This was a magical process, taking a packet of icing sugar plus a few additional ingredients, and ending up with many roses of different shapes and sizes, each one unique with its own character! The concept was starting to evolve. The colour theme was white on white. 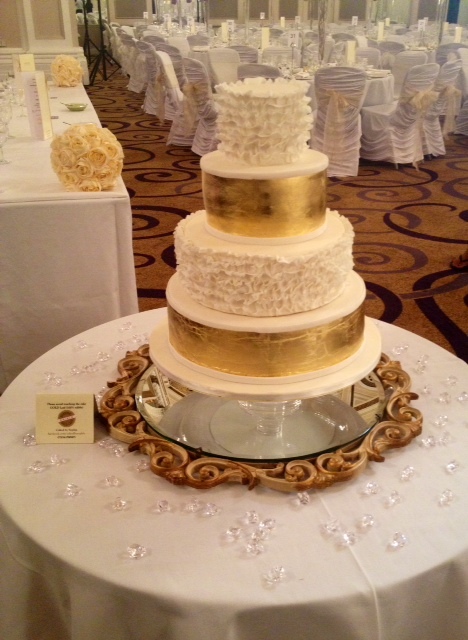 The cake stand was vintage with silver finish which added some extra detail. However, I felt that something more could really make the cake stand out. Thanks to the Internet I was able to search for more ideas and realised that a gold leaf tier was becoming very popular for wedding cake designs. 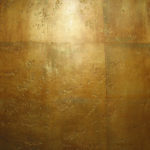 My searching also brought me to Gold Leaf Supplies website. There seemed to be many beautiful products, all available in one place and I made an order straight away. The items were delivered the next morning. The first problem was that I didn’t have a clue how I was going to execute this next stage. I asked around but received conflicting advice and I really wanted to make sure I made good use of the beautiful gold leaf. In the end I decided to call Gold Leaf Supplies directly for advice. Initially I spoke to a gentleman who talked me through a technique for applying the transfer gold leaf. He was very helpful and the advice resulted in a successful application. By slightly dampening the fondant icing with water to make it slightly tacky, the transfer gold leaf was easy to apply and went on smoothly. As this was my first attempt, there were some gaps in the coverage and I decided to order more gold leaf as I was pleased with the gold effect on the tier, which was starting to look really good. The only problem I could see was how to apply another layer without removing the gold already on the fondant. 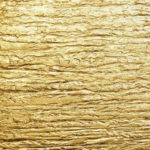 I called Gold Leaf Supplies again and spoke to Sue who was really lovely. She talked through some options and again my order was with me the following day. In order to dampen the surface of the cake which now had gold leaf applied, I ran a basin of very hot water and left the cake in the steamy room for around ten minutes. This slightly dampened the surface and with strips cut out of the transfer leaves, the gold leaf went on beautifully, covering any gaps. I must say Sue was amazing. She must be dealing with people all over the world with projects much bigger than mine, but she made me feel that the success of this cake was as important to her as it was to me. Thank you Sue! The final stage was to take the four tiers separately and build up the tiered cake at the lovely wedding venue Pegwell Bay Hotel. All went smoothly to plan apart from one hitch. The venue is in a fabulous location right on the sea and when I arrived there was a gale blowing. As I carefully removed one of the cake boxes from the car a huge gust of wind swept the lid off the cake box and then continued to destroy the remaining box. To my horror I was left battling the elements with the pristine gold tier in my bare hands. I managed to hang onto it but inevitably there was some damage to the finish. Luckily I came equipped with a repair kit including my spare gold leaf. With more confidence this time, I reapplied pieces of transfer gold, I had after all done this before! The sea spray had conveniently moistened the surface of the cake so no need for steaming bowls of water. All was well once more and I had all the components, four tiers, including the gold leaf tier, plus a spare, countless sugar roses, ribbons flecked with silver and gold, hand-stitched onto muslin strips to tie in the gold leaf and silver cake stand. The addition of some tiny seed pearls to the middle ribbon added extra interest. I sourced the Ribbons by Nkuku from Indigo in Oxford. All that had to be done now was to assemble the tiers and create the final piece. This took a day and a half as each flower had to be carefully placed. The most important thing for me was that my son and daughter-in-law were pleased with their wedding cake. They had after all made an act of faith in asking me to do this for them! 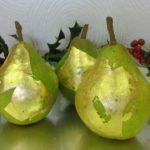 Author Gold Leaf SuppliesPosted on 3rd December 2014 16th January 2017 Categories Edible Gold LeafLeave a comment on Customer Experiences – Francesca & Her Son’s Wedding Cake! 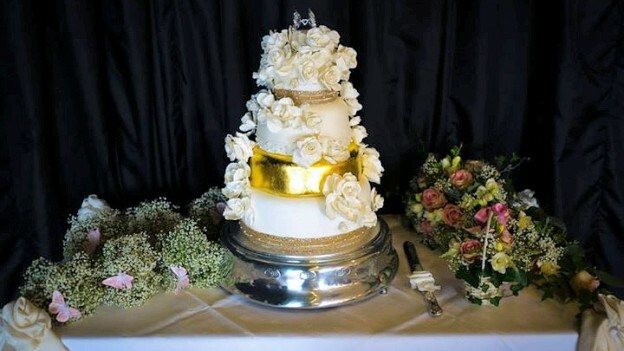 This elegant, refined wedding cake was created by Sophie of ‘Caked by Sophie’ and finished with edible, genuine gold gilding. Alongside traditional cakes Sophie also makes some truly stunning replica cakes of pretty much anything imaginable. Check out her Facebook page for more pictures of fantastic looking cakes and sugarcraft creations. But gold needn’t be just for cakes. 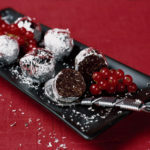 In fact with Christmas coming up you might consider adding a little flair to your festive meals and decorations with some genuine edible gold or silver leaf. 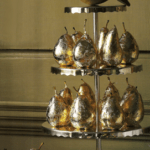 Below are just a few ideas of what to do with edible gold and silver leaf, check out more in our edible gold and silver leaf inspiration section. 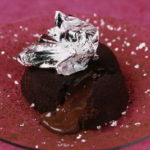 Click here to visit our edible gold and silver leaf section on our website. What’s the difference between a professional quality paint job and an amateur one? Priming! 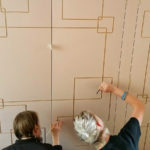 We’ve all done it, we’ve decided that we just have to repaint something – be it a wall, or a whole room or a piece of furniture – and we immediately grab our brushes and our emulsion and start slapping it on. Then, maybe after a few coats you get something that looks decent, if you’re lucky. 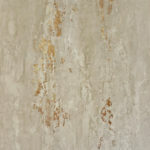 If you’re not lucky though you might find your paint peeling, or those stains you’d hope to cover up bleeding through. That’s because you’ve forgotten the one key, but often overlooked step in painting – priming. Priming is essential for a good quality paint finish, a good primer not only provides a nice, even colour as a base it also seals in stains and provides a key for paint to stick to, even on surfaces it may not be designed to stick to. Be aware though, no primer is suitable for every job; you should make sure you buy a suitable primer for your project to ensure the best quality finish. Currently we stock a range of Zinsser primers: these primers are some of the best on the market and are highly regarded by professionals and hobbyists alike. 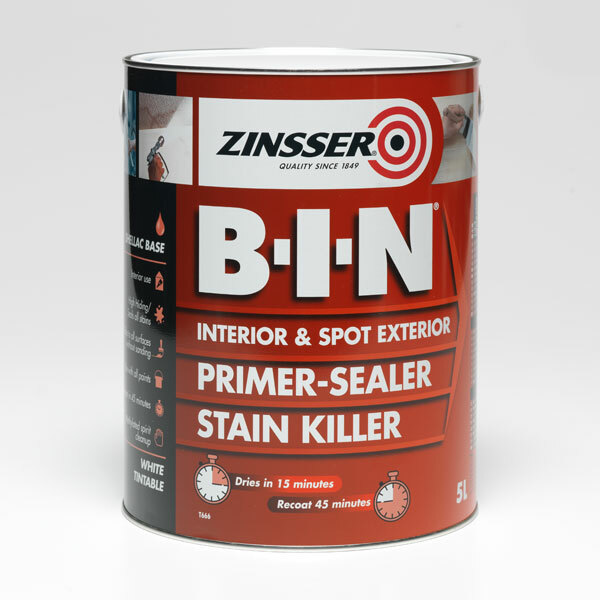 Bulls Eye 1-2-3 is Zinsser’s classic acrylic-based all-purpose primer, sealer and stain-killer. It’s suitable for use on a wide variety of substrates, boasting excellent adhesion even to glossy surfaces and can’t be used on both interior and exterior surfaces. Bulls Eye 1-2-3 dries quickly to a smooth, tight, water-resistant film helping to protect metals, such as iron or steel, from rusting. As well as protecting from rust, Bullseye 1-2-3 contains a biocide that helps to protect the film from fungal degradation, making this primer well suited for use in high-humidity areas such as the kitchen or the bathroom. The water-resistant film also makes Bulls Eye 1-2-3 highly effective at sealing stains, completely sealing graffiti, grease spots, tar and asphalt and stopping them them ruining the paint laid on top. The quick dry formulation gives Bulls Eye 1-2-3 a 30 minute drying time with a 1 hour recoat time. Zinsser B-I-N is a shellac-based alternative to Bulls Eye 1-2-3 and is perfect for interior priming or for exterior spot priming. It’s high adhesion shellac formula seals porous surfaces with excellent enamel holdout, as well as blocking the usual stains such as marker pen stains and water stains it will seal oil stains, bleeding knots and sap streaks. Along with sealing the stains B-I-N permanently blocks every kind of odour including smoke and fire damage and pet and nicotine odour. 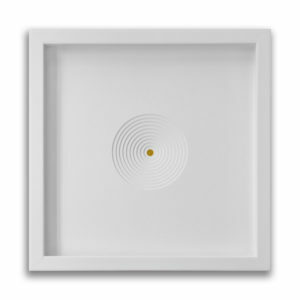 B-I-N is perfect for interior ceilings, walls, doors and related paintable surfaces and spot priming on exterior metal, trims, PVC and wood and dries in just 15 minutes and is recoatable in 45 minutes! On interior surfaces Cover Stain drives quickly and has great hiding power – any and all stains are sealed away permanently, keeping topcoats blemish free. Cover Stain is especially effective on nicotine and water stains. 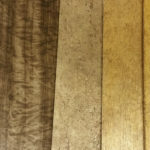 On exterior surfaces Cover Stain has a unique formulation that delivers full penetration and flexibility on all surfaces, including wood panelling that may warp due to heat and weather. Cover Stains unique oil-based formulation resists cracking and peeling and is compatible with all decorative top coats. Cover Stain is undoubtedly one of the best exterior wood sealers in the business. Cover Stain is touch dry in 35 minutes and recoatable in 2 hours. 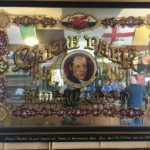 Author Gold Leaf SuppliesPosted on 22nd July 2014 16th January 2017 Categories Edible Gold LeafLeave a comment on What’s the difference between a professional quality paint job and an amateur one? Priming! 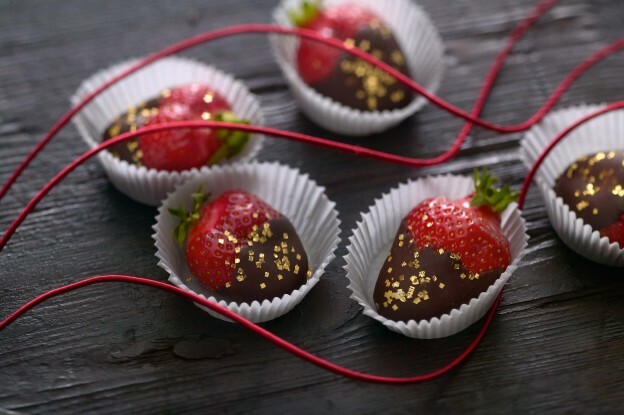 Put Some Bling In Your Bubbly And Add Some Sparkle To Your Strawberries! It’s that time of year again – the sun is shining, the grass is green and once more people are talking about strawberries and cream, champagne and whether or not Andy Murray can make it a repeat performance! That’s right, it’s Wimbledon week again and it’s looking to be real nice one at that, with sun forecast over the days of play. So if you’re lucky enough to be at Wimbledon, enjoying a picnic lunch with some champagne and strawberries slathered in cream or enjoying them in front of the TV with some friends why not push the boat out? slivers of gold and silver fluttering around in the bubbly? So click here if you want to view our range of edible gold and silver and hopefully we’ll be toasting another British victory! Oh, and if you’re not into champagne then it goes just as well with Pimms! 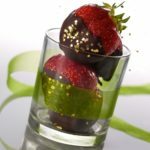 It doesn’t just have to be drinks you sprinkle the edible gold on, as you can see it adds some dazzle to strawberries too! 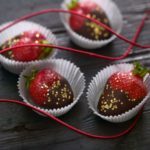 Author Gold Leaf SuppliesPosted on 25th June 2014 25th June 2014 Categories Edible Gold LeafLeave a comment on Put Some Bling In Your Bubbly And Add Some Sparkle To Your Strawberries!